Every month we have a few events geared specifically toward adults. Look out for the specific descriptions on our monthly calendars, because many of them offer complimentary refreshments and some have FREE WINE! 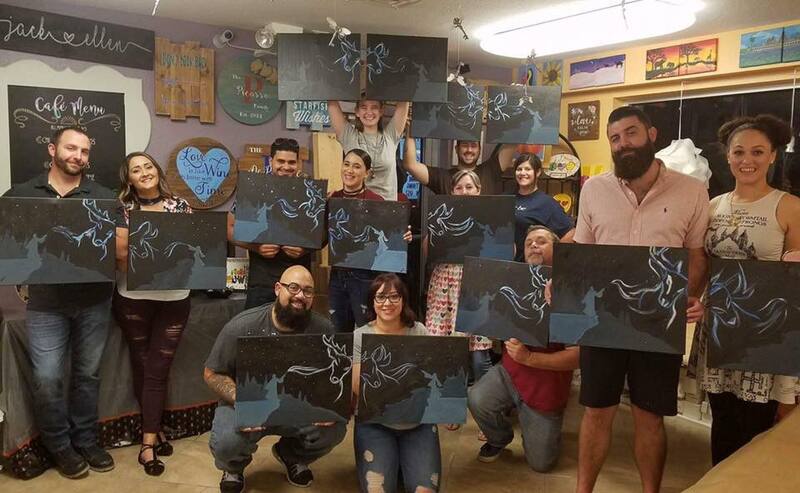 These events are seriously fun and best when you bring a friend or two! Once a month we create a project intended to be a team effort! You’ll sit side-by-side with your friend/spouse/significant other/whoever and paint an image that spans two canvases. What makes this so special is that you get to see two different styles come together to make something beautiful. Ladies Nights are held once or twice a month. Projects vary, so be sure to check the calendar! 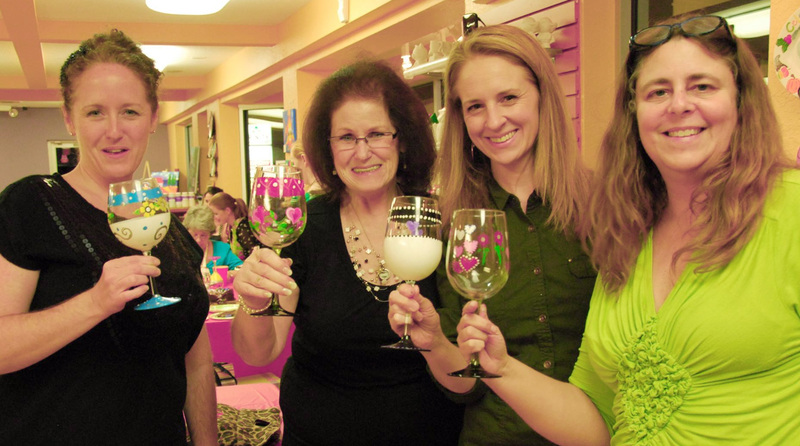 Our most popular events are wine glass painting, bath bombs and essential oil pendants. Often, we have a few things planned to keep the evening interesting! This is the event where you can really let loose and say and paint whatever the f@#k you want! 100% adults only. 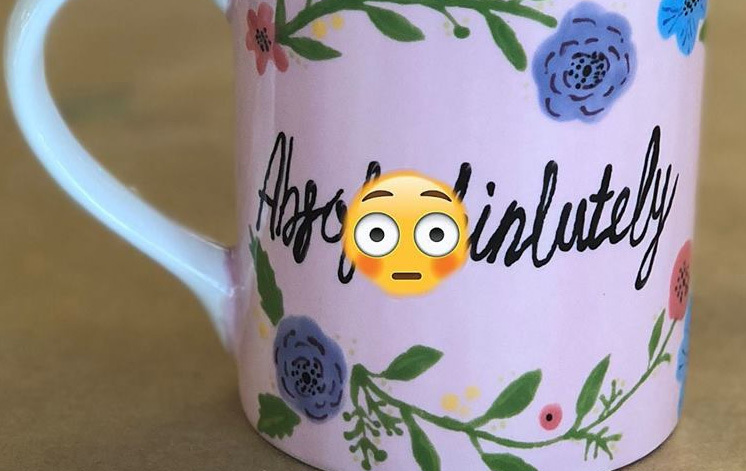 We have some beautiful profanity-laden silkscreens to make your ceramics as colorful as you are. Or we can help you come up with your own d&%n thing! Plus, there’s trivia and prizes! These events can get a little rowdy, but we say bring it on! Tell your friends to join you at Picasso’s for a great f&#king night.